Simon Pavey is entering his final preparations for the 2011 Dakar rally, which kicks off in Buenos Aires on 1st January 2011. 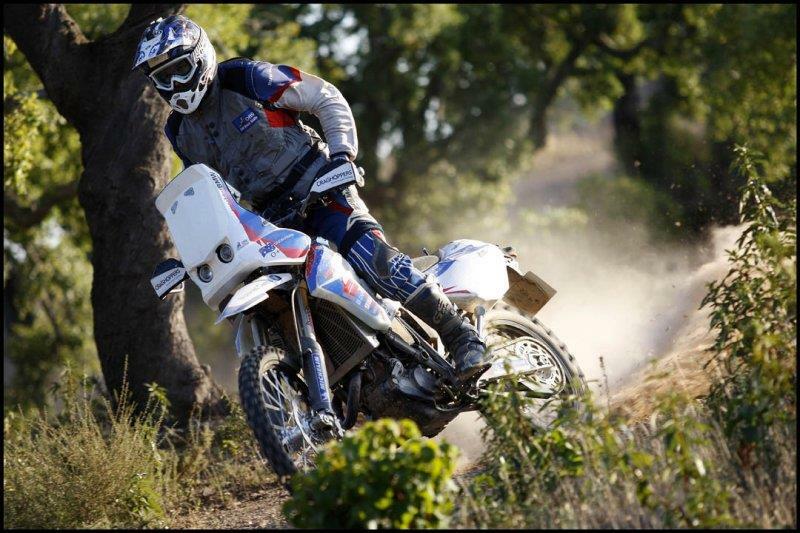 Pavey will campaign a BMW G 450X for the first time in what is regarded as the physically and mentally toughest race in the world. As a Dakar veteran, Pavey knows what to expect having competed in the race seven times before finishing five times with a best result of 40th in 1998. In 2009 he got his first taste of the new look South American Dakar and is relishing the challenge of racing a smaller 450cc machine having previously raced the event on a bigger 650cc BMW. Speaking to MCN, he said: “I’ve convinced myself that racing the 450 is going to be more fun than the bigger bike so I hope I’m not deluding myself! The preparation on the bike has gone well. Before we’d take a 650 road bike and turn it into a Rally bike, but with the G450 X it’s already a competition Enduro bike that we’ve added things to make it in to a Rally bike. Having raced in Africa and South America, Pavey say’s one of the biggest differences is the people. “The riding in South America is definitely more varied. You’ve still got the big dunes, which is what people associate with the Dakar, but there is also more stages that are like a regular Enduro.